Guillermo del Toro's lavish monster romance "The Shape of Water" fished out a leading 13 nominations, Greta Gerwig became just the fifth woman nominated for best director and "Mudbound" cinematographer Rachel Morrison made history as the first woman to earn a nod in that category in nominations announced Tuesday for the 90th annual Academy Awards. 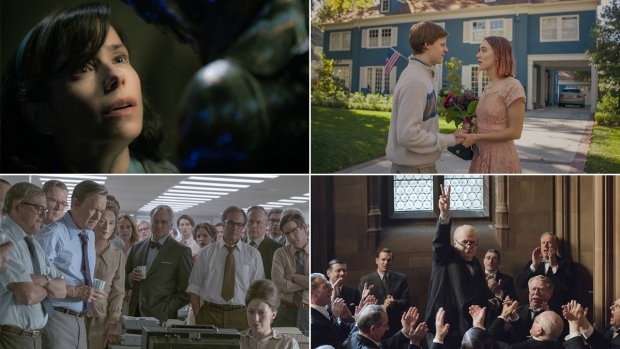 Oscar voters put forward nine best-picture nominees: "The Shape of Water," ''Three Billboards Outside Ebbing, Missouri," ''Lady Bird," ''Get Out," ''The Post," ''Dunkirk," ''Call Me By Your Name" and "Phantom Thread." Also nominated for best director was "Get Out" director Jordan Peele. He becomes the fifth black filmmaker nominated for best director, and third to helm a best-picture nominee, following Barry Jenkins last year for "Moonlight." Denzel Washington ("Roman J. Israel, Esq.") was nominated for best actor, likely eclipsing James Franco ("Disaster Artist"). Franco was accused of sexual misconduct, which he denied, just days before Oscar voting closed. This year, the academy has prohibited the PwC accountants who handle the envelopes from using cellphones or social media during the show. The accounting firm on Monday also unveiled several reforms including the addition of a third balloting partner in the show's control room. Neither of the PwC representatives involved in the mishap last year, Brian Cullinan or Martha Ruiz, will return to the show. But the movie business has larger accounting problems. Movie attendance hit a 24-year low in 2017 despite the firepower of "Star Wars: The Last Jedi," ''Beauty and the Beast" and "Guardians of the Galaxy, Vol. 2." An especially dismal summer movie season was 92 million admissions shy of summer 2016, according to the National Alliance of Theater Owners. Still, the summer produced one best-picture favorite, "Dunkirk," which grossed $525.6 million worldwide. Warner Bros.' Patty Jenkins' "Wonder Woman," released in June to $821.8 million in ticket sales, became the highest grossing movie ever directed by a woman, though it did not receive any Oscar nods. But the box-office hit that carved the most unlikely path to the Oscars is "Get Out." It opened back in February on Oscar weekend, and went on to pocket $254.7 million worldwide. Though "Get Out" and "Dunkirk" lend a blockbuster punch to the best-picture field — something that has historically helped ratings of the broadcast — the other films in the mix are smaller indies. 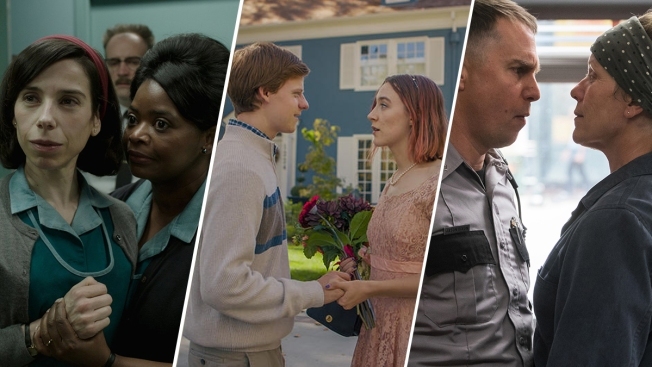 Both Amazon and Netflix failed to crack the best picture category but earned nominations elsewhere. Netflix's "Mudbound" scored a best-supporting nod for Mary J. Blige and Amazon's "The Big Sick" grabbed a nomination for Holly Hunter in the same category. "The Big Sick" also scored an original screenplay nod.